Canvas Prints are where refined digital printing meets premium canvas fabric that's stretched over a wooden frame. With a flawless print applied directly to canvas using an inkjet printer, canvas prints are a great way to bring your dearest memories to life. Sounds simple, right? Well, whenever anything seems straightforward you can bet there’s a ton of work getting done behind the scenes! Let’s trace the production of CanvasDiscount.com canvas prints from organic start to immaculate finish. Now, despite sounding suspiciously kin to a fairy tale intro, this is really how it all starts. The backing of your canvas is made from a carefully selected spruce wood that grows in responsibly kept forests. Alternatively, the wood used for canvas production can be that of pine or, less preferably, fir or paulownia. Regarding the latter two, it’s a clear sign of bad things to come. Both types of wood are not a good fit for canvas frames and are mostly leftovers from the low-quality canvas infestation that took place roughly 10 years ago. When the wood is delivered to the factory, a special drying process takes place. Once the wood reaches the optimal EMC (equilibrium moisture content), it’s ready for further processing. We often love to promote canvas prints as a really successful meet-up between traditional craftsmanship and the prowess of modern technology. That’s because canvas prints really encompass the best of both. The framework is manually assembled by experienced masters of the craft who also perfectly stretch the canvas over the frame later on. Meanwhile, the print version of your photo is truly the result of sophisticated technology put to action. Special HP latex inks travel inch by inch across the canvas to create a picture-perfect re-imagination of the original photo. Sharp, vivid, and somewhat even updating the original, the canvas print version of your photo will leave your eyes wide open in surprise. What’s the Difference Between Canvas Print, Poster and Painting Canvas? Now, probably a simpler way of explaining canvas print is to explain what it is definitely not. People often confuse canvas prints with posters, although the difference is pretty obvious. What makes a poster a poster is the apparent lack of any solid backing, namely a wooden frame. The glossy, matte poster surely has its fair share of qualities. However, canvas prints, by default, are a more substantial, more full-fledged decor piece. With vastly different lifespans, maintenance options, and means of printing, both mediums are really two worlds apart. For more details regarding the pros and cons of both mediums, visit this page. When it comes to canvas that’s meant for photo printing and painting, it’s another rather incomparable duo. Although both were born out of the same circumstances (as a cheaper, more accessible and way more viable alternative to traditional painting frames), they couldn’t be more different in their current incarnation. While the painting canvas comes both with and without the gesso layer and is usable in both formats, the photo printing canvas will never be stretched on the frame prior to printing and is always a ready-made product. Are Photo Canvas Prints Worth Your Money? If you’re planning to display your photo, keep in mind that there’s simply no cheaper alternative to having your photo printed on canvas. Once again, though, one has to be really careful while choosing a printing vendor. To make sure your canvas won’t be a mess of a product, it is always worth to check out review sites to see feedback left by customers. Today, it is easily the most authentic and reliable source of information available to potential customers. Luckily, CanvasDiscount.com has no problems in any department. 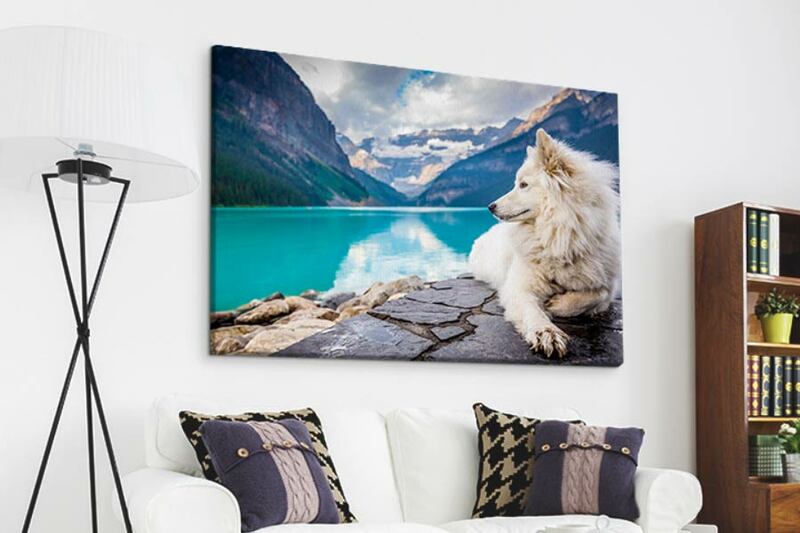 With thousands of loyal customers, incredible delivery terms, and prices that are nigh impossible to rival, CanvasDiscount.com is the right platform for your first canvas printing experience. Surely, after this one, there will be many more to come! With $9.00 for 8”x8” canvas as the entry point, you’re in for what is the ultimate best price guarantee.